in NJ, PA and NY. 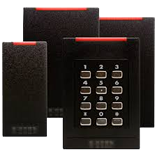 WhizTech Security Inc. specializes in IP based keyless door access control security systems installation, maintenance and repair in NJ, PA and NY. Our electronic door access control systems support keyfob, card and biometrics (fingerprint) based credential readers. We cater to the needs of a small business with only two doors all the way up to an enterprise system with multiple locations. How do Keyless Card Door Access Control Systems Work? Access Control Systems manage entry and exit of authorized people through a secure area such as front door, filling room, fitness room, server room or swimming pool. 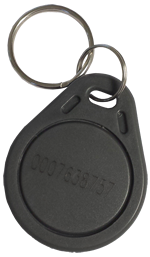 For example, at a day care facility, each parent is issued a credential such as a keyfob, a pin number or a card. Advance systems can even utilize parent's fingerprints as credentials. When this credential is presented to the reader at the door, access control system matches it against a database to decide if this parent should be granted or denied access within a particular timeframe. If access is granted - access control system triggers the electronic lock to unlock the door. Why not use Regular Metal Keys? With metal keys there is no "access control" or "audit trail" because anyone with a metal key has 24/7 access to any door the key works on. Also, metal keys can be easily copied. If an employee is let go, you have to change or rekey all locks in the building to lock them out. This can become pretty expensive. In comparison a keyless electronic door access control system uses biometrics or electronic credentials instead of metal keys. Access to the secure area can be controlled by user, date, time, holiday etc. As an example at a medical facility unauthorized staff can be locked out of medicine storage with a few clicks of the mouse. 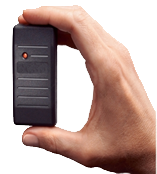 Our Door Access Control Systems are scalable; you can start with one door and scale it to a hundred doors over time. Door access system can be easily be managed and monitored remotely over existing network infrastructure. Our access control systems support multiple users, have audit trails and access schedule capabilities. One Credential for Multiple Sites: Ability to link remote sites to a centralized system over the Internet; giving users access to multiple sites with just one credential. Distributed Access, Centralized Control: Enable or disable access for a particular user or group of users to all secure areas using a user friendly website - no special software needed. Control of Contractor Activity: Assign credentials to expire after a contract is over and maintain a digital record of all system events involving contractors. Easy Card Management: Easily issue or revoke keyfobs and PINs for staff and contractors without the hassle of managing keys and re-keying locks. Real Time Monitoring: Ability to view real-time door activity with a picture of the person at the door. Protection of High-Value Assets: Provide secure access control to computer rooms, stock rooms, shipping and receiving areas, medicine storage, customer records, apartment complex entry doors etc. Report Generation: Track the movements of staff, contractors and visitors through an intuitive report generator. Simple Import and Export: Easily import and export credential holders to CSV format. For further information please call us at (609) 424-7584 to schedule a site visit to discuss your unique access control requirements.